Tetenal Anti-Newton Spray is designed to help eliminate those annoying Newton rings often caused when film and glass meet - typically occuring with scanners and also glass negative carriers. 200ml aerosol. 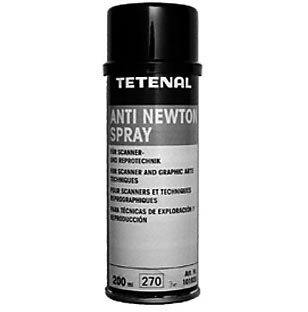 Unforunately, this product has been discontinued by Tetenal and we are trying to source an alternative.